Jacob Butts, a 15-year-old student at Glynn Academy, was found dead at around 6:45 a.m. on Lakes Drive near Baumgardner Road. A 15-year-old boy died Monday morning after police say he was struck by a drunk driver that fled the scene in Glynn County. Jacob Butts, a student at Glynn Academy, was found dead at around 6:45 a.m. on Lakes Drive near Baumgardner Road, according to the Glynn County Police Department. A woman, 21-year-old Madisyn Culpepper has been arrested and charged with vehicular homicide, leaving the scene of an accident causing injury or death and failure to maintain lane. Sunday night, police said Culpepper was involved in a crash at around 10:30 p.m. at the intersection of Baumgardner Road and U.S. Highway 82. Police said she was under the influence of alcohol and was arrested. She had a blood alcohol level of 0.22. Police believe Culpepper struck and killed the teen prior to the crash on U.S. Highway 82. If you have any information about the death, call Georgia State Patrol Post #23 at 912-262-2380, the Glynn County Police Department, 912-554-7802 or the Silent Witness line at 912-264-1333. 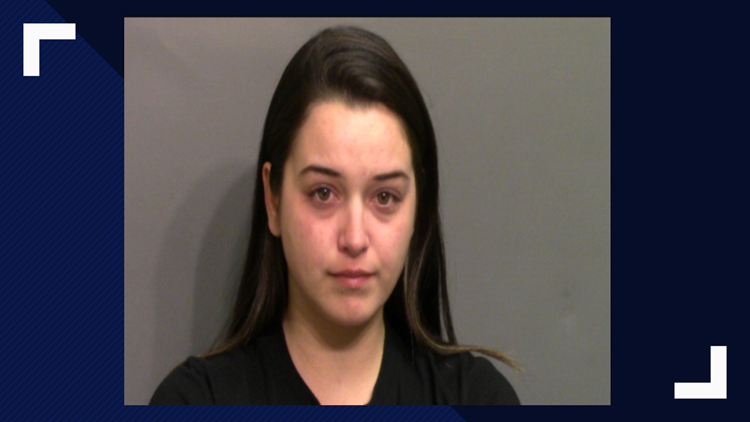 Madisyn Culpepper, 21, is accused of killing 15-year-old student Jacob Butts in a DUI hit-and-run crash.